Throughout the history of motorsport, there have been a few truly iconic racing liveries. Names like John Player Special or Gulf or Martini evoke incredibly clear pictures of brave men piloting screaming suicide machines at speeds that seem to warp space time. One company took the idea of a racing livery and elevated it to something much more. 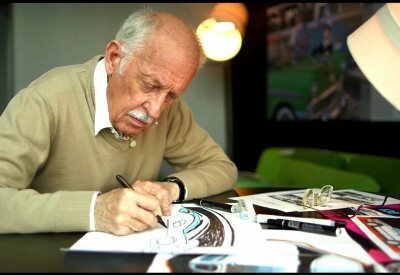 That company was BMW and of course we’re talking about their famous Art Cars. 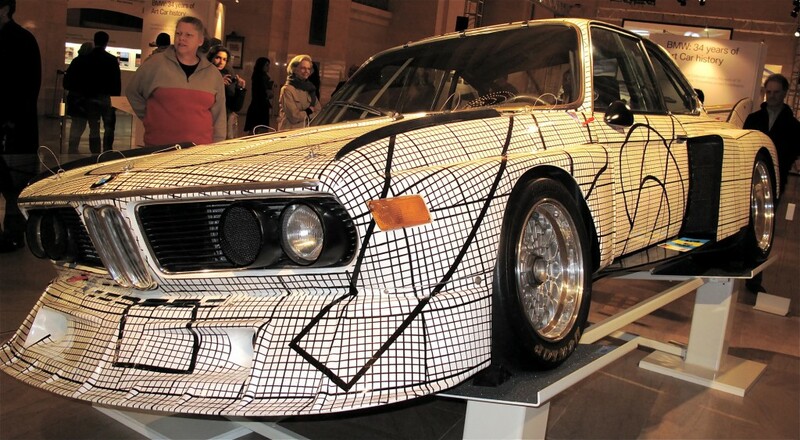 The story of the BMW Art Cars doesn’t actually start with BMW. It started with a French racing driver named Hervé Poulain. Poulain got the idea to have an artist design his racing car livery to help it stand out from all of the other cars on the grid at Le Mans. He reached out to American artist (and inventor of the mobile) Alexander Calder who accepted the commission. 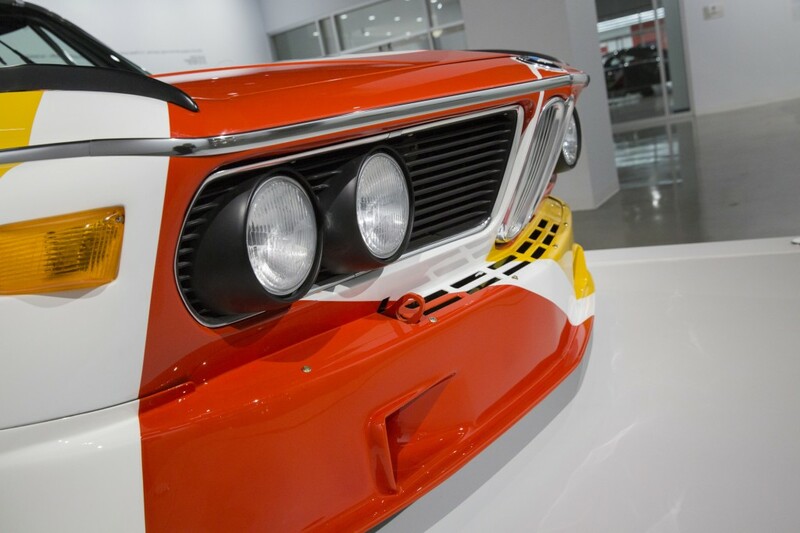 He was given a small model of the BMW 3.0 CSL “Batmobile” race car that Poulain was to race in the 1975 24 Hours of Le Mans and set about applying his bright, whimsical style to the many complex curves and shapes of the model. When he was finished, the model was given to a master painter who transferred the design to full scale. The result is one of the most iconic and beloved racing cars in history despite having a less than stellar showing at the 1975 race. Hervé Poulain, Sam Posey and Jean Guichet ran into driveshaft trouble and were unable to finish. The car never raced again but has remained deeply etched into car culture’s collective memory. The Calder car was the first in a series of racing cars to be designed over the coming years. 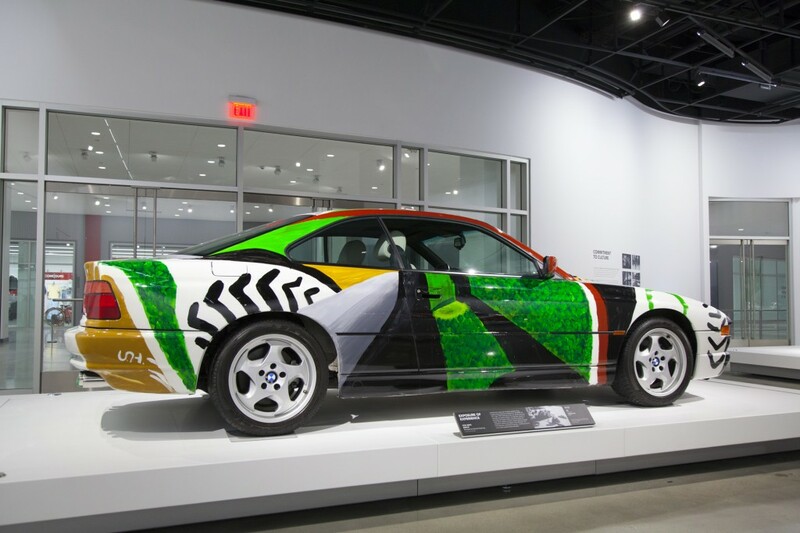 Next was Frank Stella, again with a “Batmobile” BMW. His design evoked graph paper and was highly geometric. We can only imagine the ire that he inspired in Mr. Poulain’s painter. 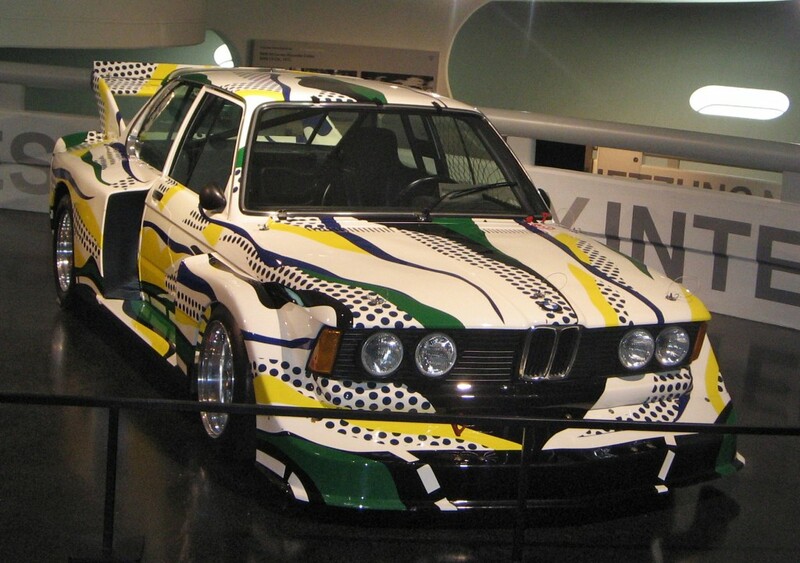 Roy Lichtenstein contributed an incredible pop art livery to a Group 5-spec BMW 320i Turbo, arguably the most extreme-looking BMW touring car ever. 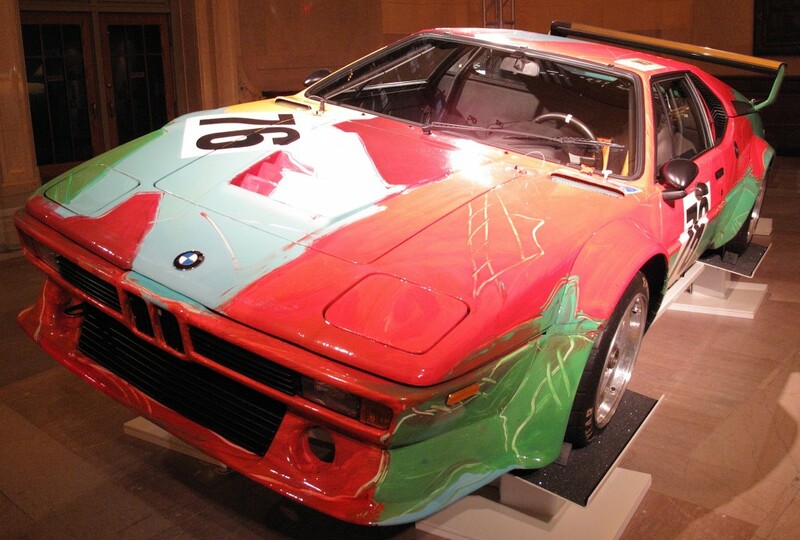 While it’s the Calder car that people most closely associate with the Art Car program, one simply cannot talk about Art Cars without mentioning the BMW M1 painted by legendary pop artist and noted Campbell’s Soup enthusiast, Andy Warhol. 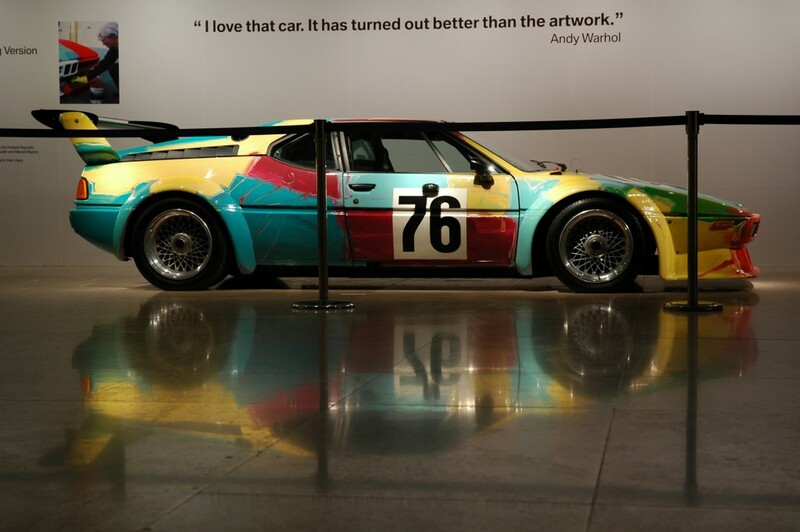 Unlike the Calder or Stella cars, Warhol painted the M1 himself. 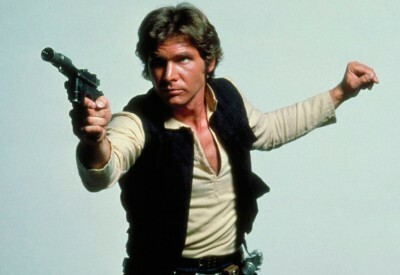 He used non-automotive paints and as such the nature of the car’s finish has changed throughout time. Unlike the Calder car, the M1 was fairly successful at Le Mans, coming in 6th overall and 2nd in class with Poulain again driving though this time with Manfred Winkelhock and Marcel Mignot. 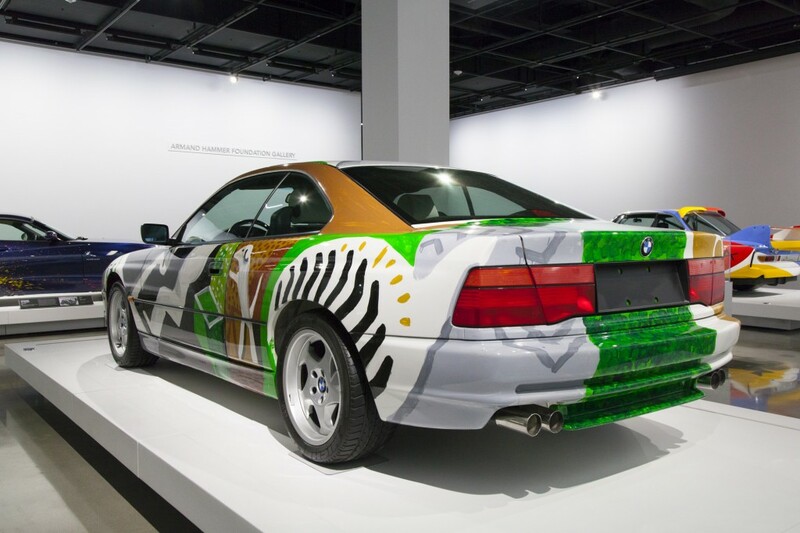 After the M1 and the 320i Turbo, BMW took over the Art Car program and began focusing mainly on their production cars. They continued to bring in many world renowned artists like British artist David Hockney and Japanese artist Matazō Kayama to work on the 850CSi and the E34 540i respectively. Unwilling to abandon the racing cars completely, they also had artists like Jenny Holzer, Sandro Chia, Ken Done and Jeff Koons do incredibly colorful and vibrant liveries for touring cars and LMP prototypes. 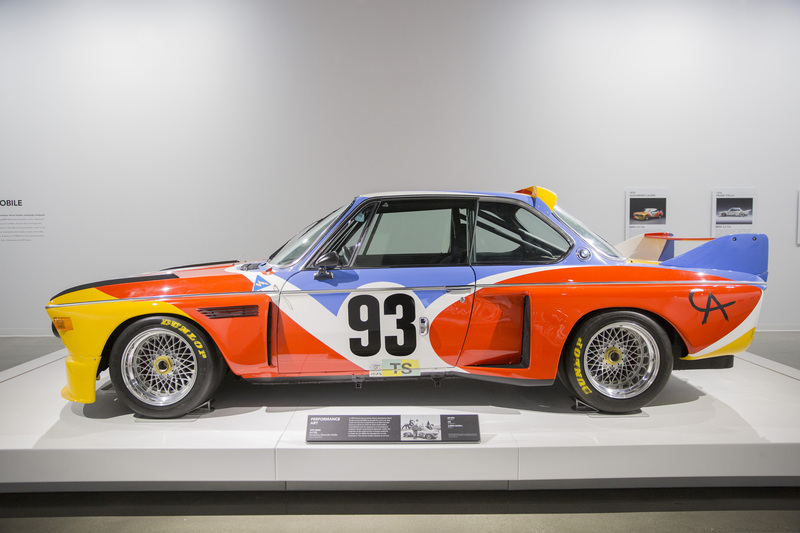 While seeing BMW’s famous Art Cars is high on any enthusiast’s bucket list, actually tracking them down can be a challenge, especially the Calder car. Luckily, if you’re willing to make the trip to Los Angeles to the newly imagined Petersen Automotive Museum you’ll be able to get inches away from not only the Calder car but also the Hockney 850CSi and the Z4 used by artist Robin Rhode to create the massive Expression of Joy piece. These can all be found in the excellent BMW & The Art Of The Automobile exhibit in the Hammer Gallery. “The historical significance of the Art Cars can’t be overstated. They have been fascinating enthusiasts for decades and to have any of them, especially the Calder car, in the museum is an absolute honor. Most people never thought they’d see any of these cars in person let alone three at a time. That alone would be worth a trip to the new museum,” said Leslie Kendall, head curator of the Petersen Automotive Museum. Seeing and hearing exciting cars, racing cars in particular, is an incredible visceral thrill for those of us afflicted with that malady known as automotive enthusiasm. Seeing a BMW “Batmobile” charge up the hill at Laguna Seca or an M1 ProCar roaring around Lime Rock Park creates a feeling, a sense of wonder, that works its way through the cracks in armor of banality that we clad ourselves in every day and makes us feel alive. Seeing these art cars, even static, gives us some of that feeling, enough that we can fold up, put in our pocket and save for those dull Wednesday afternoons at the office or for the 9000th trip to Home Depot for spackle on a Sunday. If you’re in Southern California and you haven’t been to the Petersen yet, you should go. You’ll thank us later.